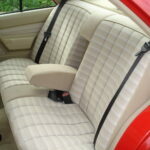 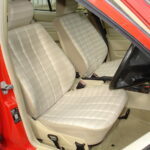 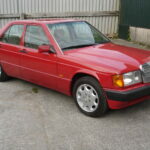 Signal Red, Cream/Beige cloth interior, Zebrano wood centre console, 4 speed auto, electric windows, electric tilt/slide sunroof, rare driver’s airbag, front headrests, rear armrest, original 8 hole alloy wheels, original Blaupunkt radio/cassette player, central locking, all original tools and manuals, full service history, 54,000 miles. 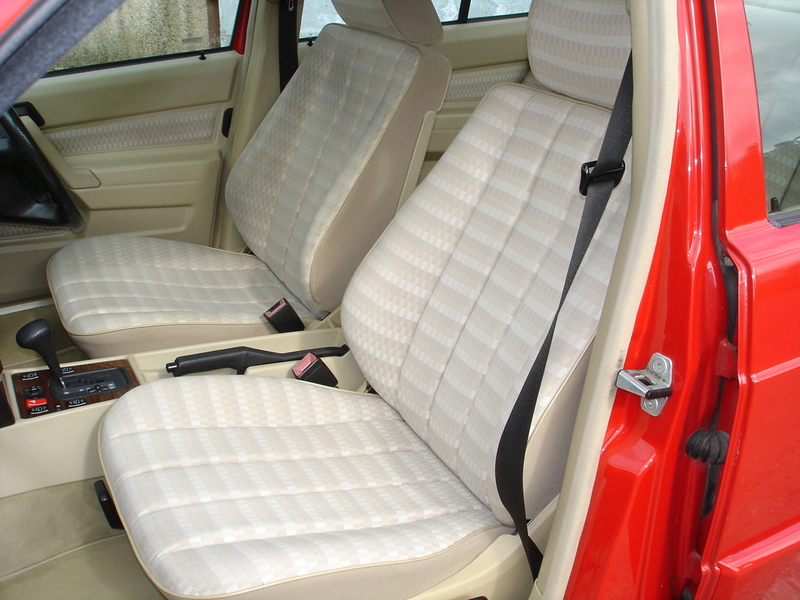 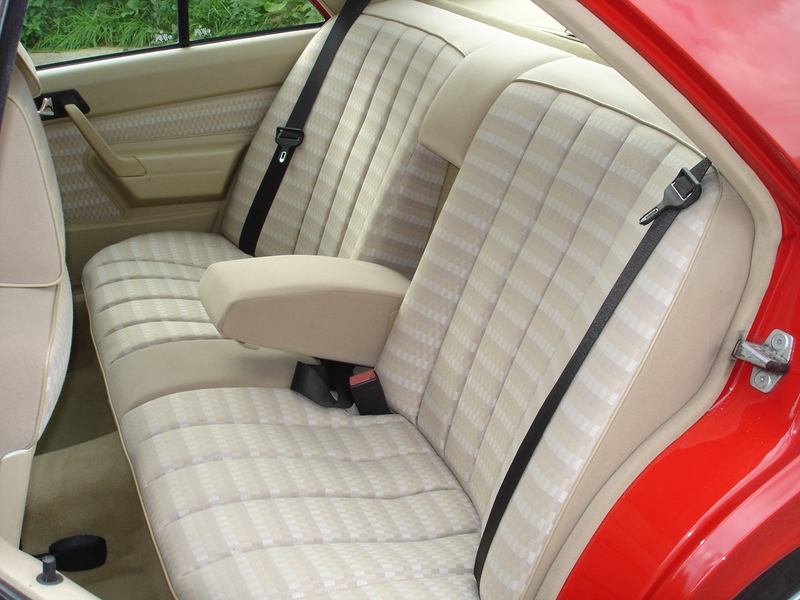 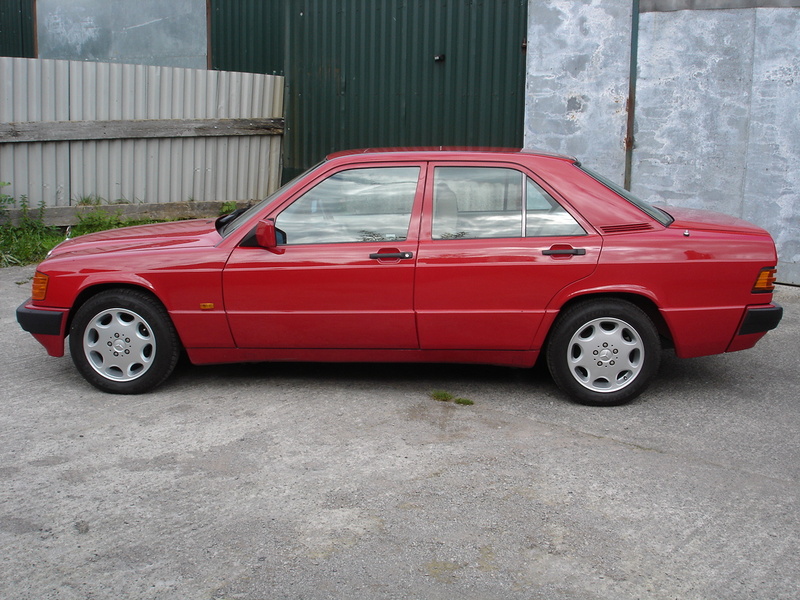 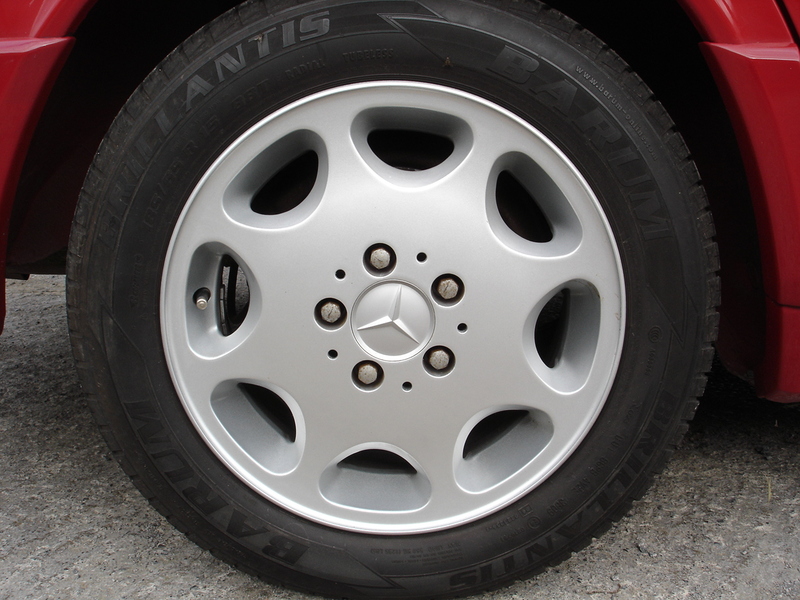 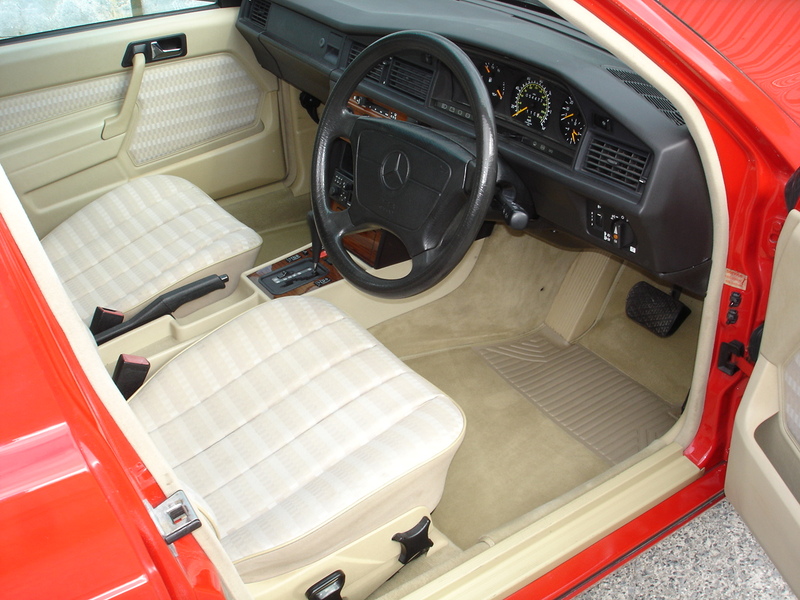 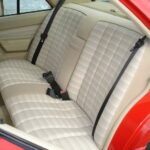 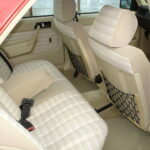 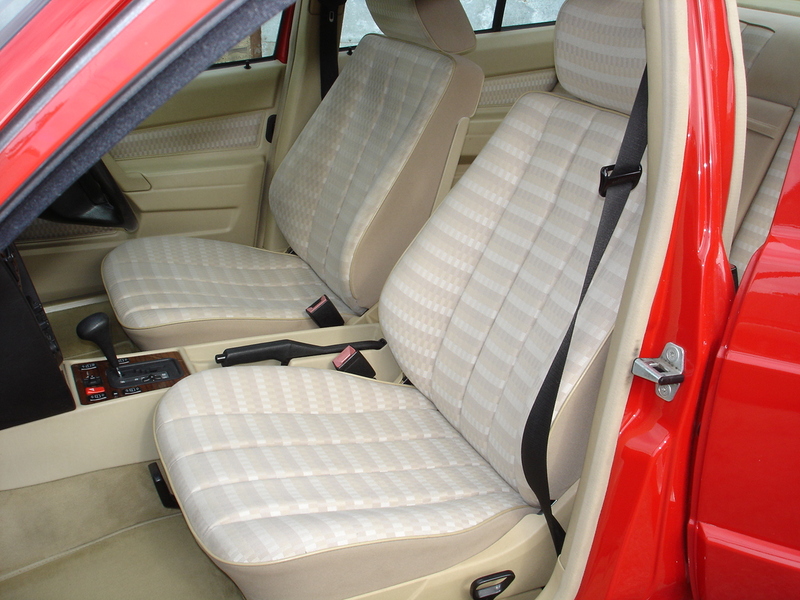 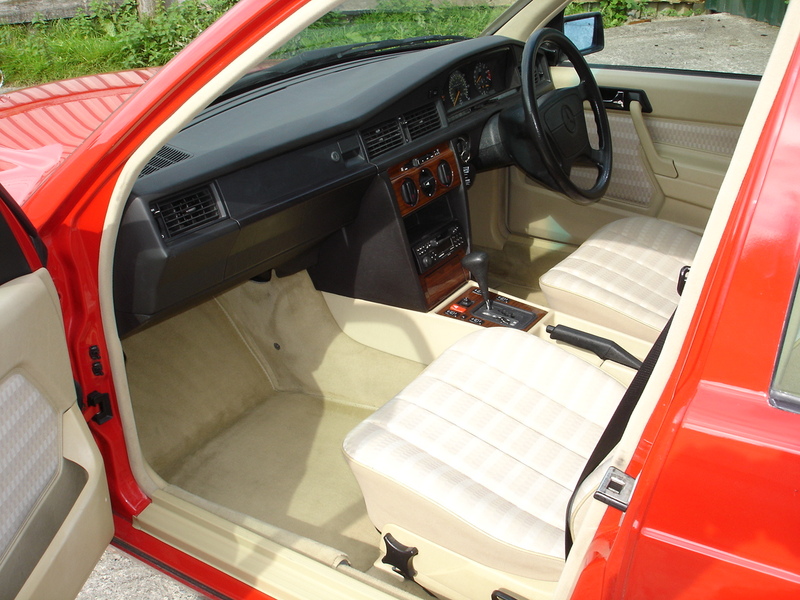 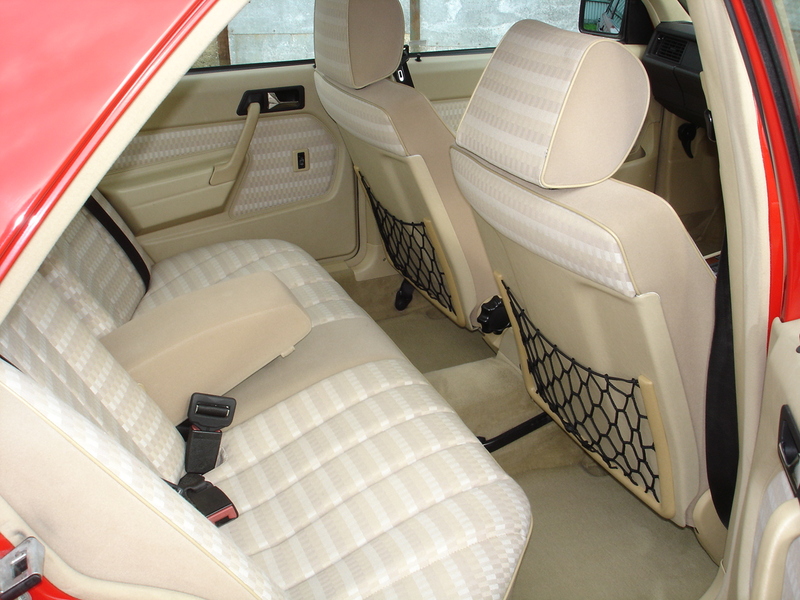 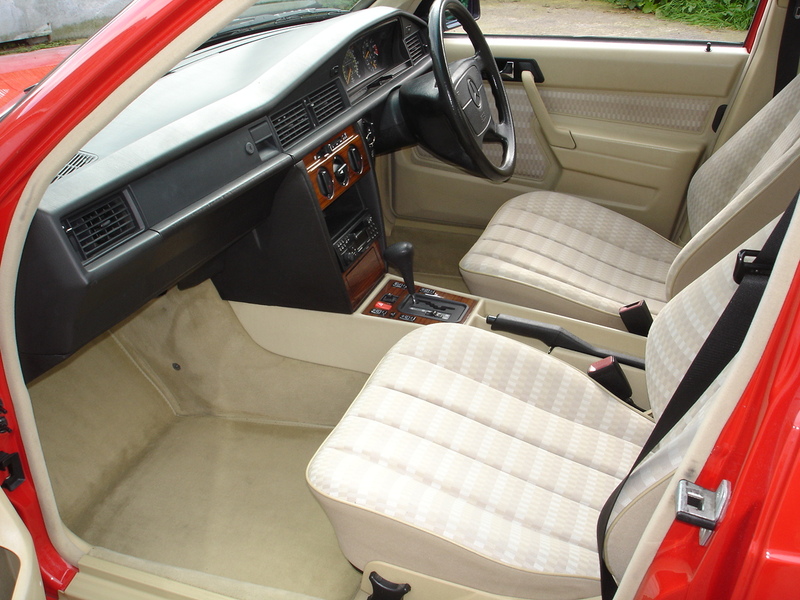 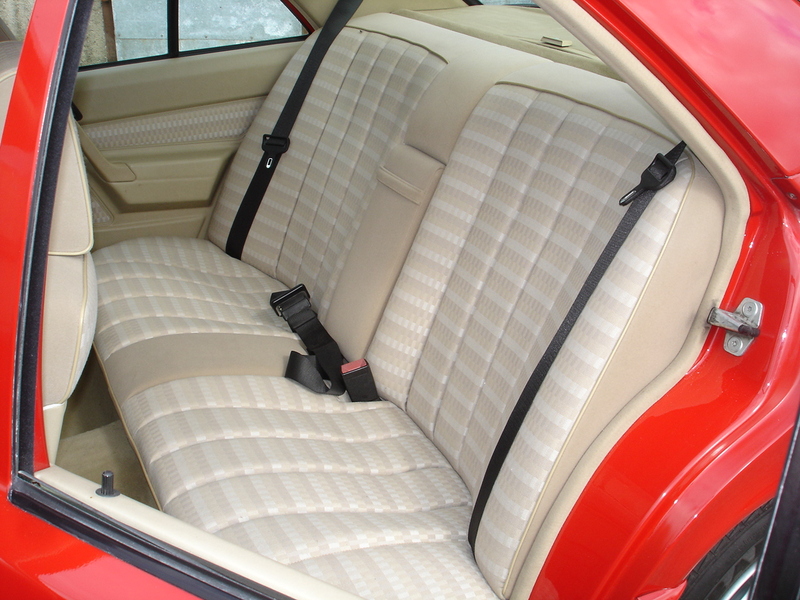 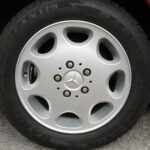 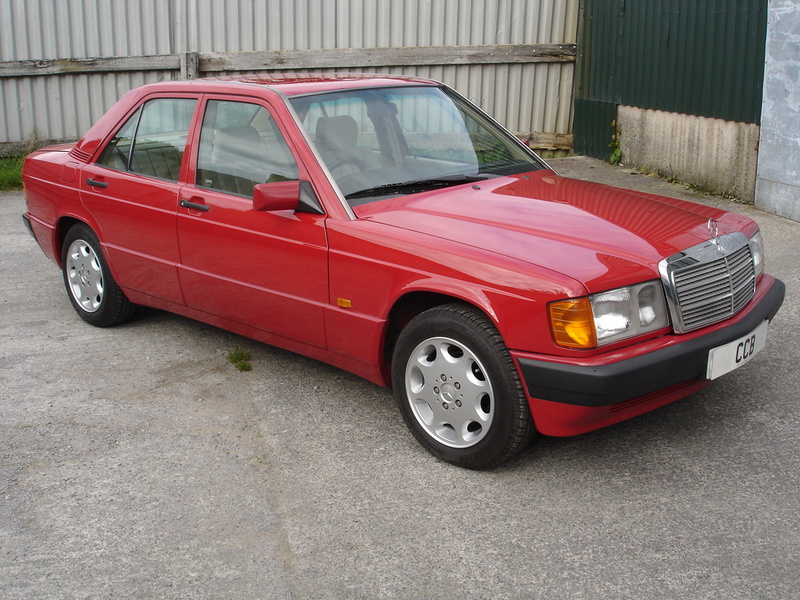 This model was an excellent seller for Mercedes-Benz, with many once to be seen on UK roads. 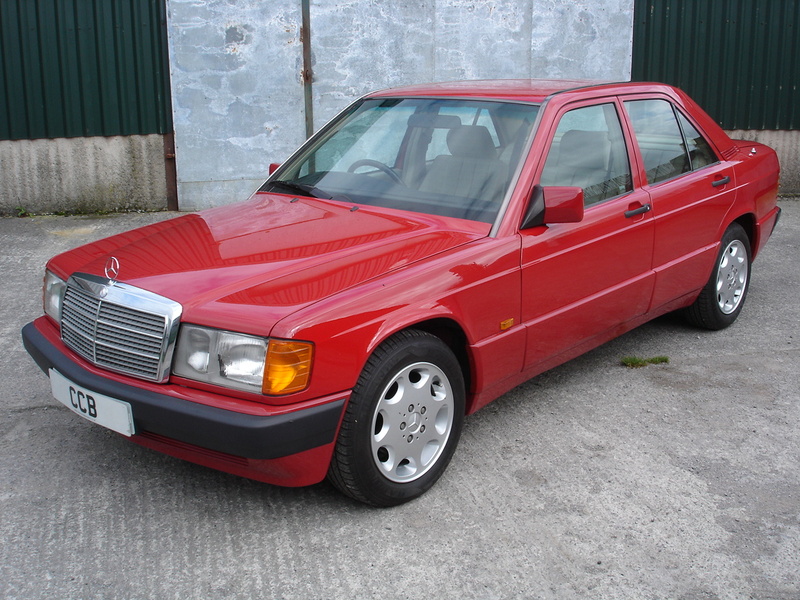 Sadly most have spent their later years as poorly maintained and hard used runabouts with huge mileages racked up, and despite their superb durability the majority have now been scrapped. 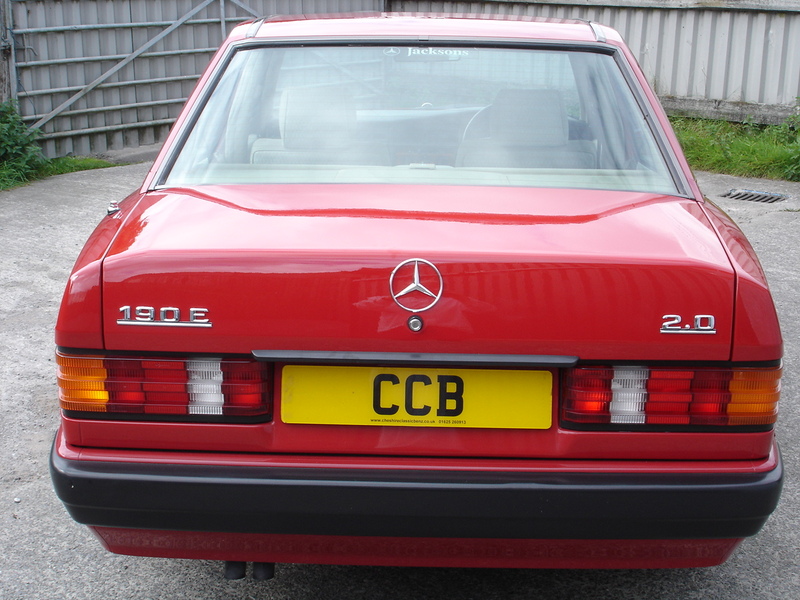 At 22 years old this is one of the very last 190Es to be registered. 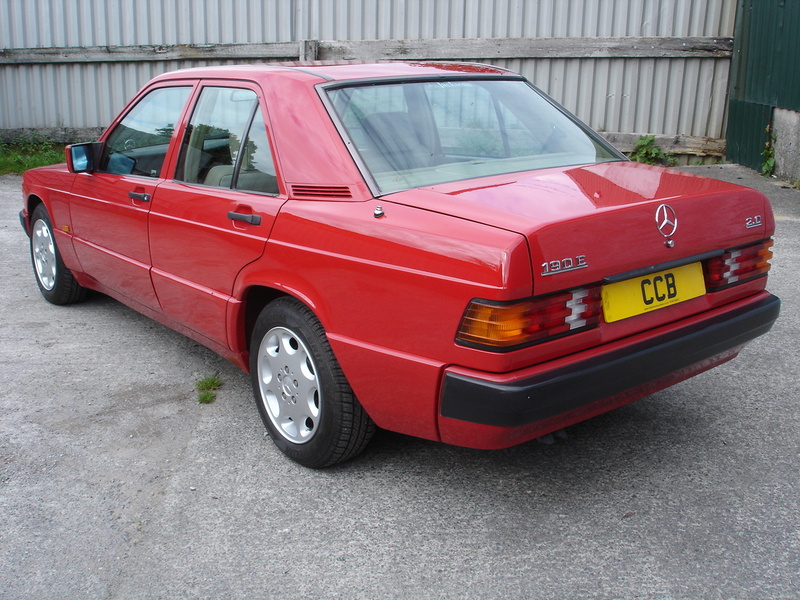 Unlike most of its brethren it has led a very charmed life, with low mileage covered, and only three very careful owners who have not spared any expense in its upkeep. 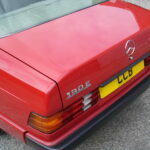 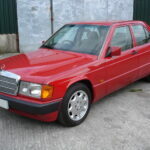 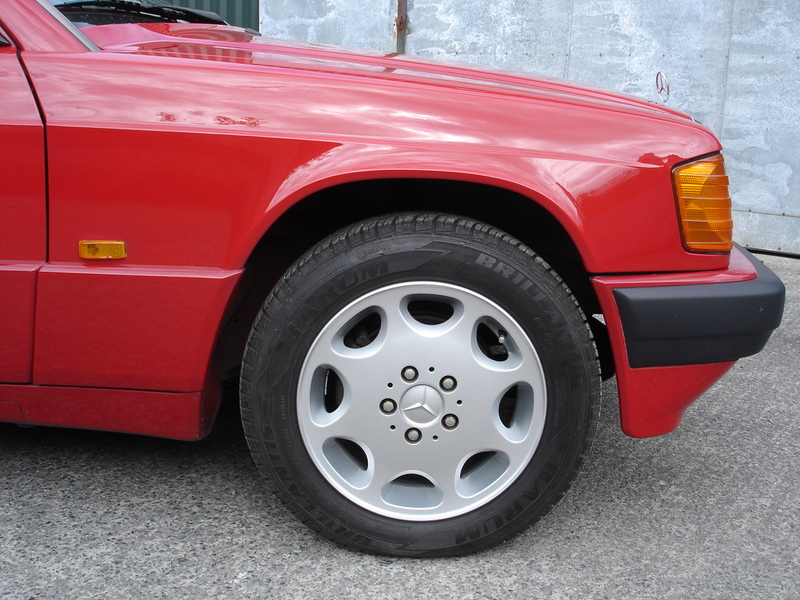 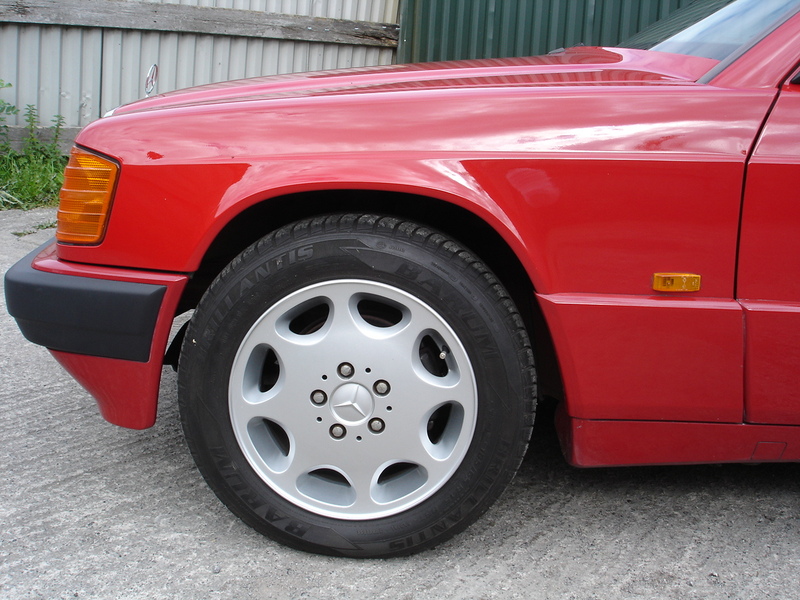 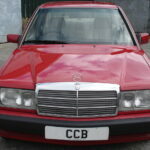 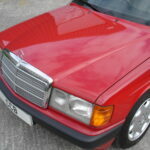 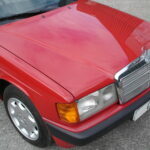 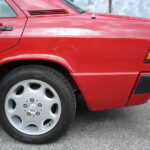 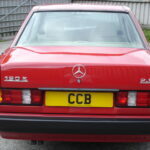 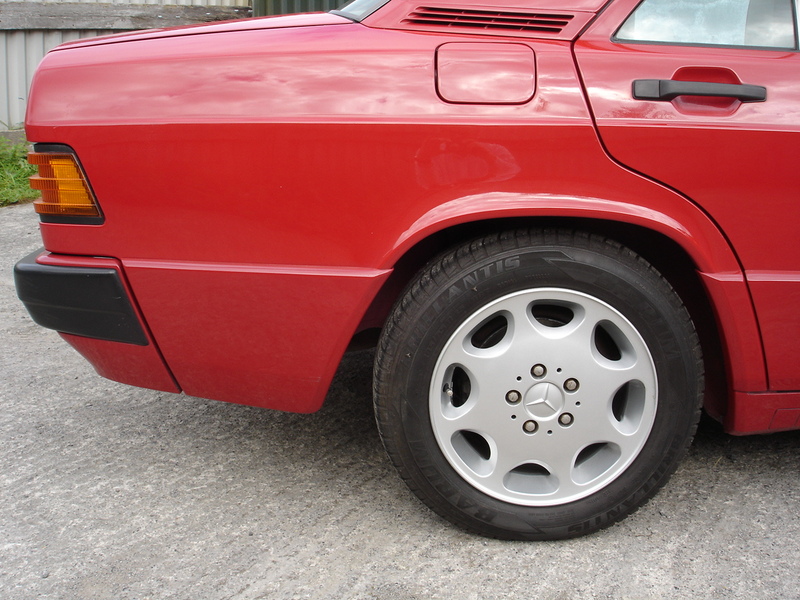 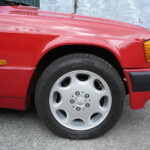 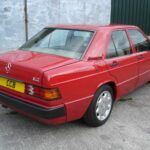 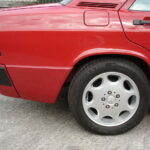 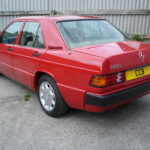 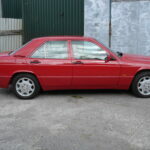 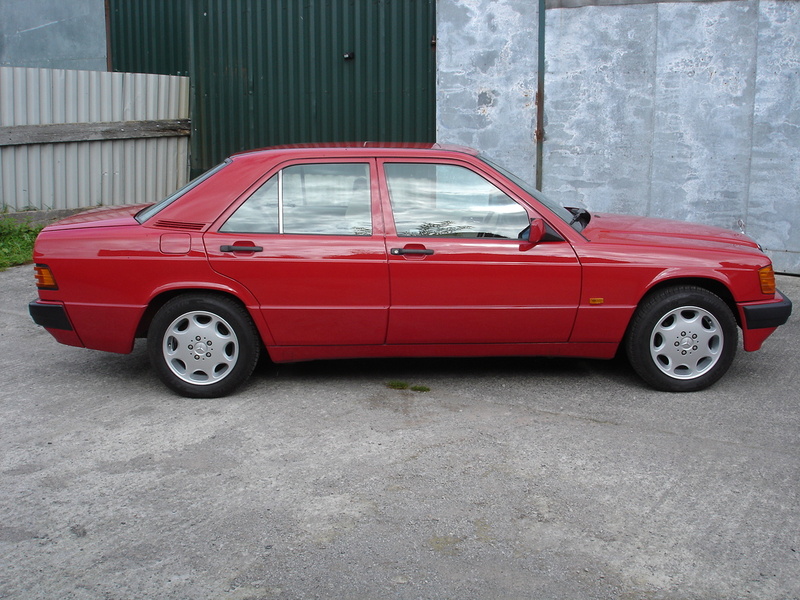 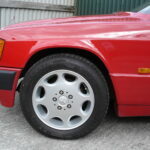 The bright red paintwork gives it a cheeky, eager appearance as befits the smallest of the Mercedes range at that time. 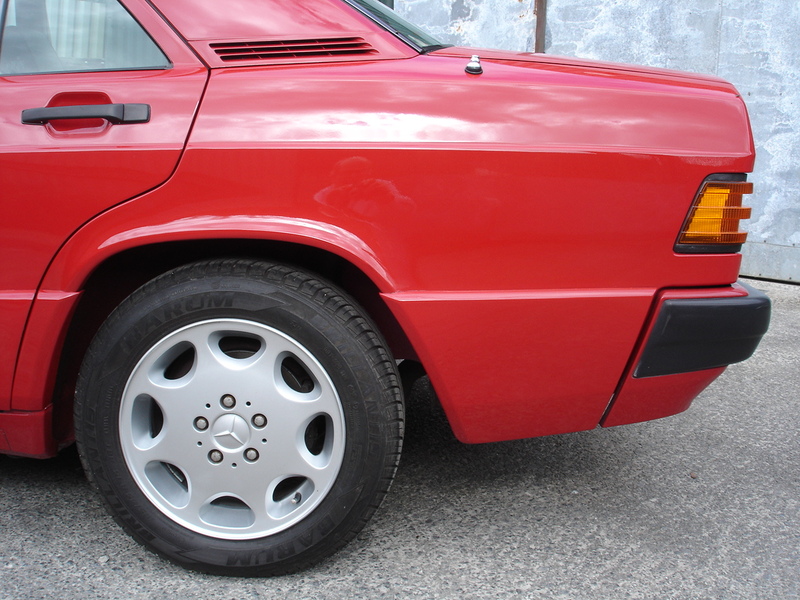 It is in truly exceptional condition throughout, with scarcely a mark inside or out. 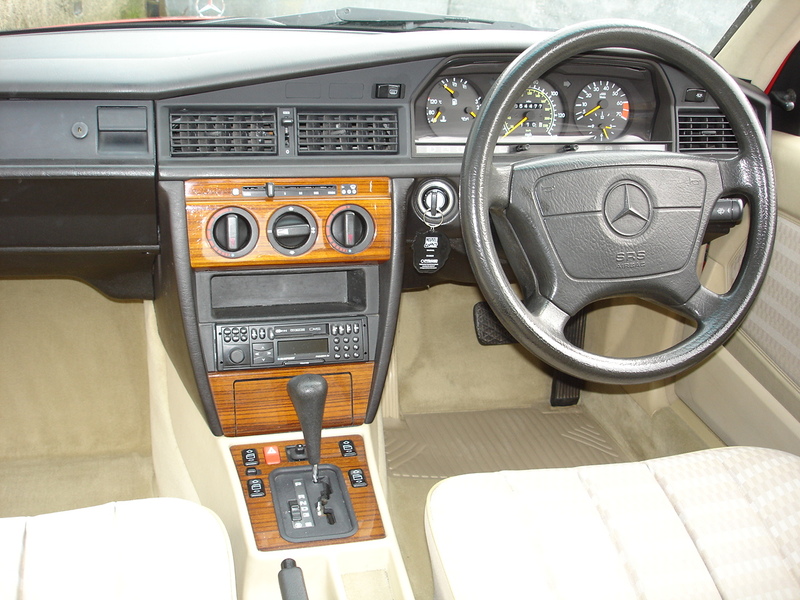 It drives beautifully, with all controls feeling sharp and tight. 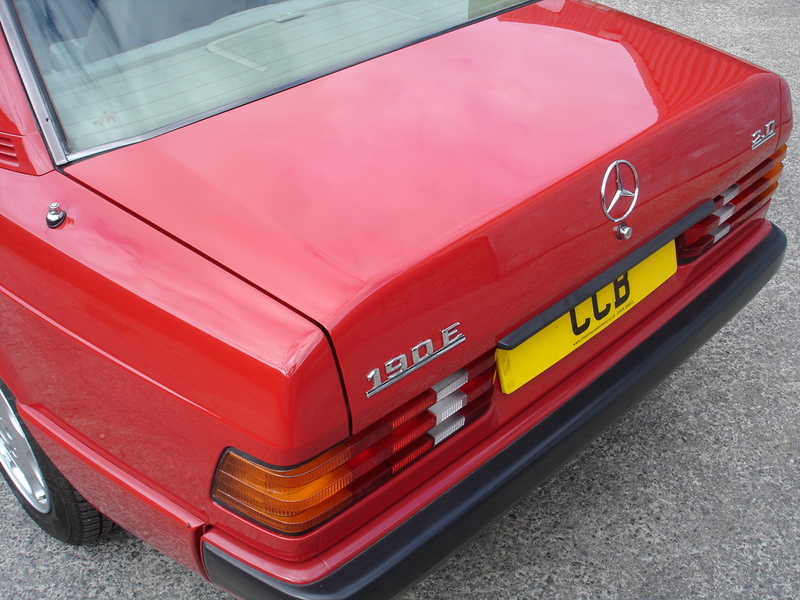 It was supplied new by Jacksons Mercedes-Benz on the island of Jersey in February 1994 to a local gentleman, and had one other owner on the island before being acquired by a Mercedes enthusiast in Newark, Notts in August 2015. 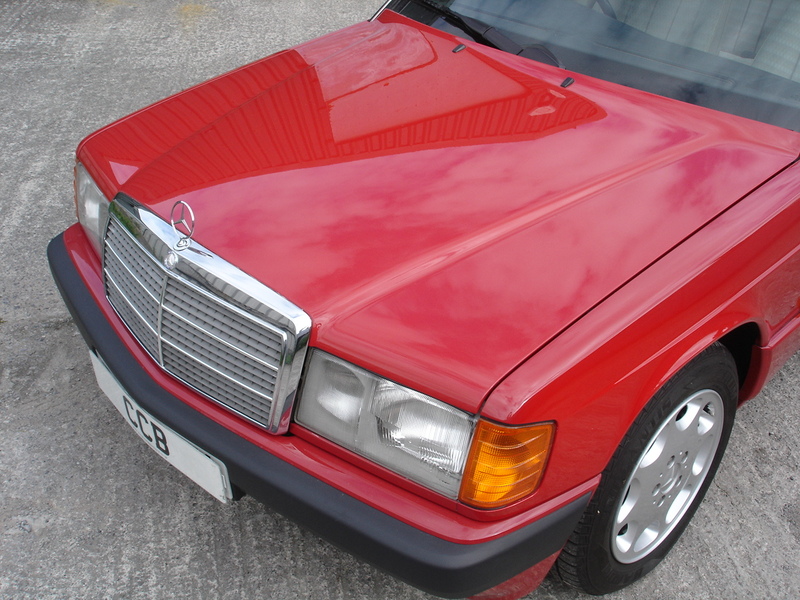 He had intended to keep it for the long term as a treasured classic alongside his everyday car, but some unexpected structural problems on a newly purchased house forced him to sell it to raise funds. 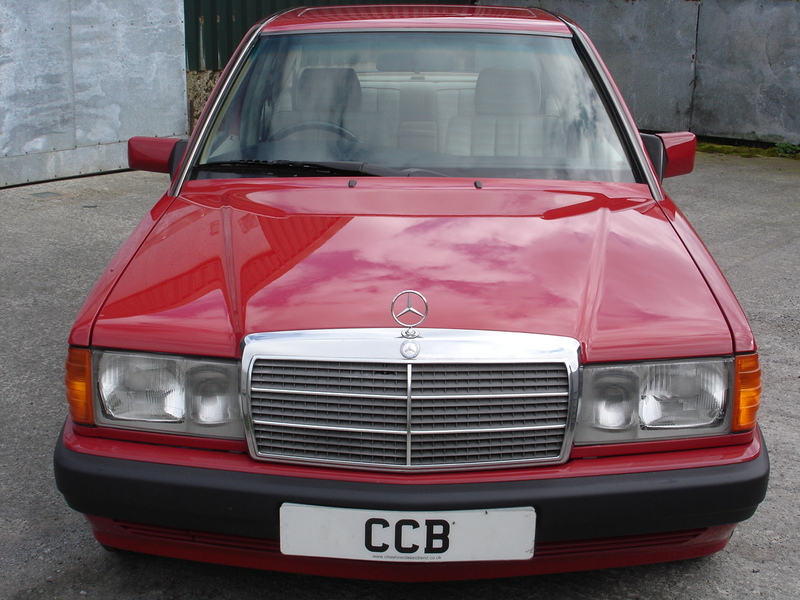 The service book contains four stamps from the supplying dealer and ten from an independent Mercedes-Benz specialist on Jersey. 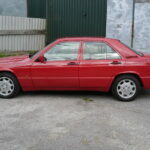 There is no MOT test on Jersey, so no old certificates are available, but we have a full printout of every single item of expenditure incurred with the independent MB specialist from January 2004 at 13,000 miles until November 2013 at 51,000 miles. 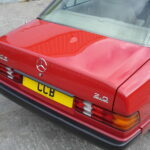 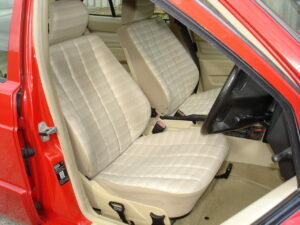 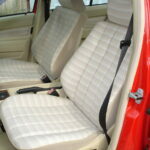 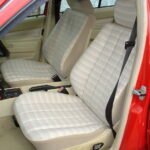 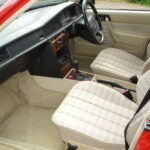 As well as the above we also have several invoices and all MOT records since it came to the UK. 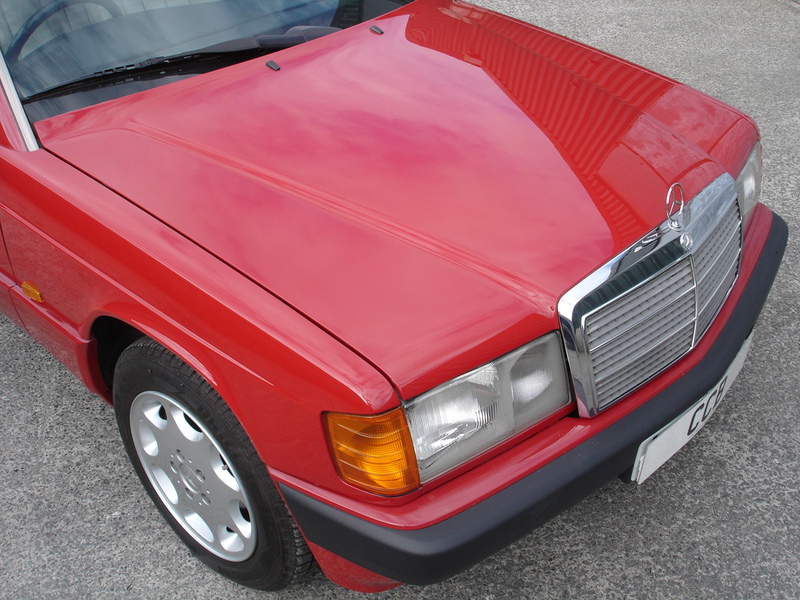 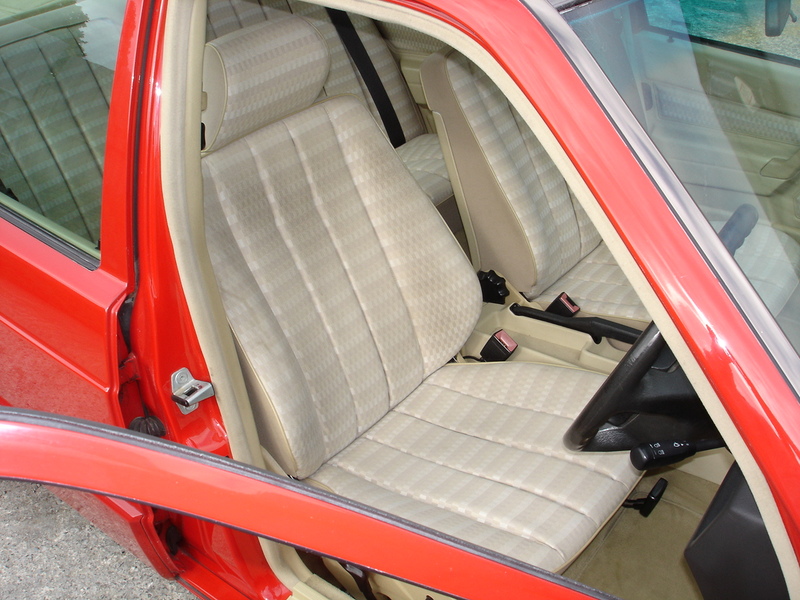 190E saloons in top condition have become very sought-after in recent times, as the supply of well kept low mileage examples is virtually exhausted. 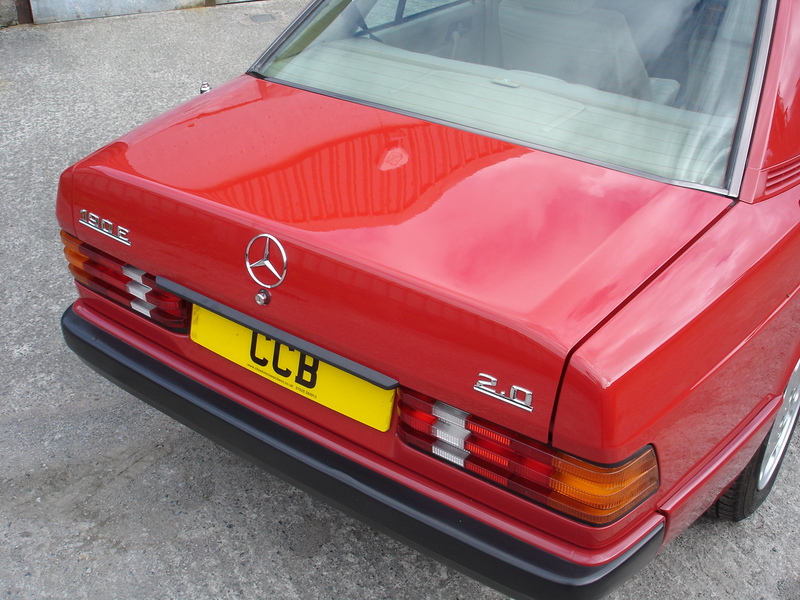 This one will become a treasured possession for its new owner and will be widely admired wherever it goes. 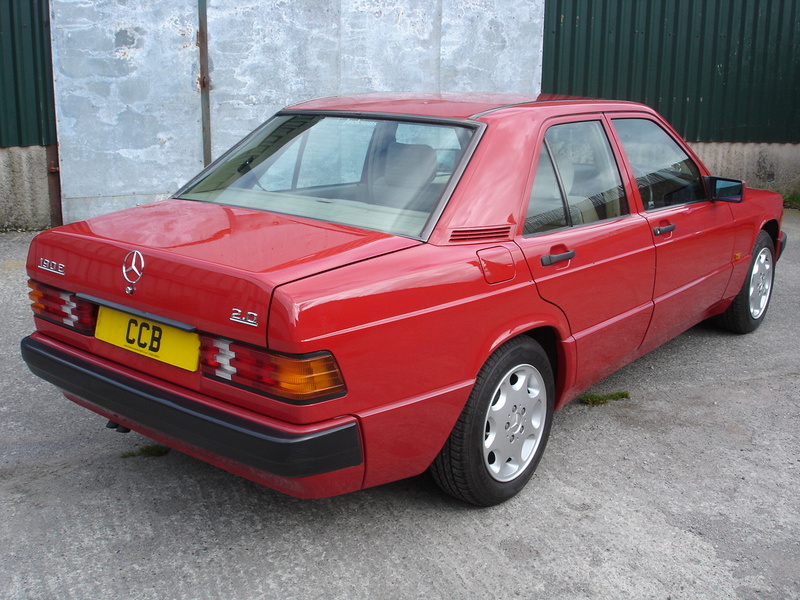 It will be just as pleasurable as a sparingly used daily driver or a weekend concours winner.